a cartage contractor q.v. licensed by H.M. Customs to cart tobacco, wines, spirits and other dutiable articles, duty being unpaid, from dock, quay or warehouse into bonded warehouse, or from bonded warehouse to ship for re-export; cf. bonded carman (719). assists cartage superintendent (railway) q.v. and, in his absence, deputises; is responsible for time-keeping of carters (719) q.v. and arranges reliefs in cases of absence; supervises cartage traffic at station or depot to prevent delays or congestion. enters into contracts for supply of carts, horses, motor vehicles, men, etc., for cartage purposes. has charge of cartage arrangements at railway station or depot; controls staff, arranges programme of work, etc. a cartage contractor q.v. 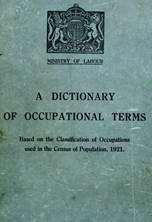 or sub-contractor who provides horses and carts or motor vehicles for transport of materials, etc., at fixed rates or by contract; either uses own horses and carts or motor vehicles or hires them from cartage contractor; sometimes sub-lets contracts for carting to other cartage contractors, or receives commission from them on business introduced. owns carts and horses, which he lets out on hire; may be also carting agent or carting contractor q.v. an owner of cattle floats (two-wheeled vehicles specially constructed for conveyance of cattle) which he lets on hire. a cartage contractor q.v. who contracts with local authorities for removal and disposal of rubbish. a proprietor of a business for collection of parcels and goods in a defined area for a larger carrier, e.g. a railway or steamship company. undertakes removal of furniture to any part by means of his own conveyance, or by rail. enters into contracts for performance of haulage of any description. enters into contract with H.M Government for conveyance of mails, from place to place, by means of horse-drawn or motor vehicles. (ii) see railway parcel agent. undertakes, usually under contract, cartage for a railway company in a defined area. undertakes, usually under contract, delivery and collection of parcels for a railway company in a defined area. owns team of cart horses, with which he undertakes haulage jobs. controls all traffic arrangements and transport business in connection with business of a private firm; is responsible for care of vehicles, horses, etc. ; supervises and directs work of carters, vanmen (719) q.v., boys, etc. ; sees that railway consignment notes are correctly made out, and sent with goods. has charge of a transport business on behalf of proprietors, to whom he is responsible for execution of orders, control of staff, supervision of accounts, etc. owns horse-drawn or hand trucks, which he lets out on hire.